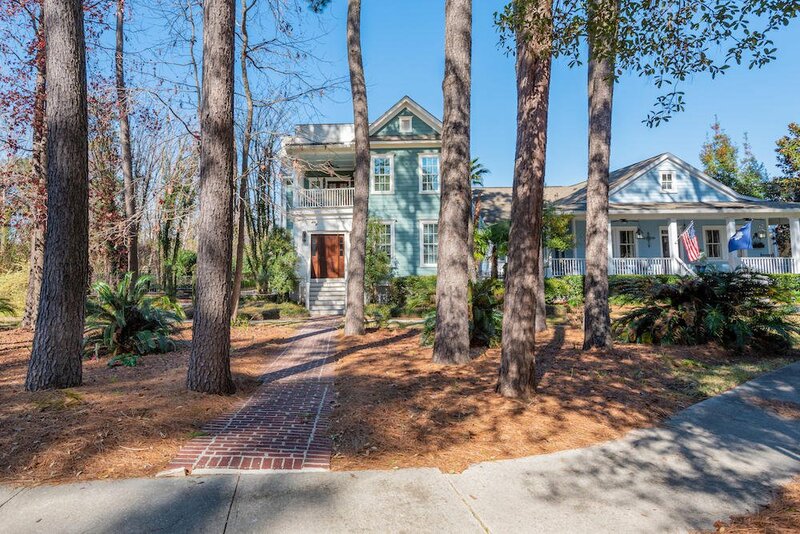 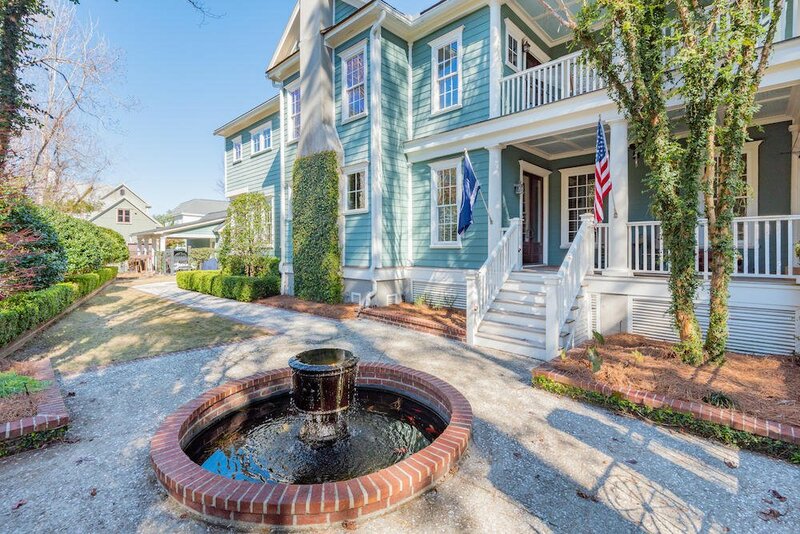 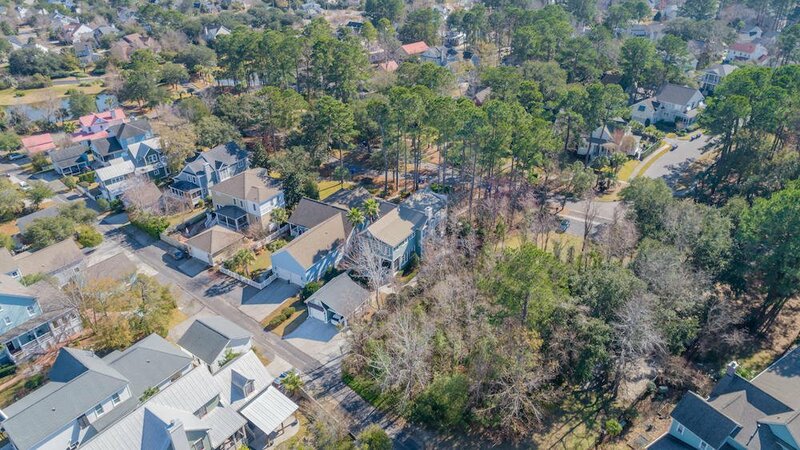 Once used as the model home for Hibben at Belle Hall, 725 Hibbens Grant Boulevard is now available for sale on one of the neighborhood's most private lots. 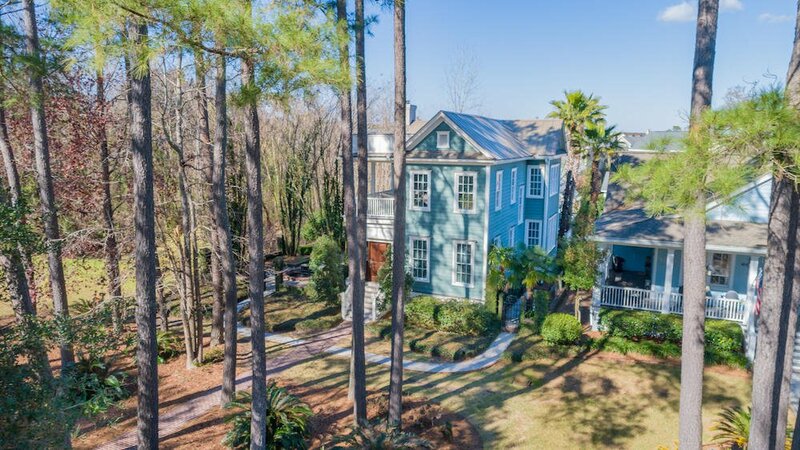 Tucked away from the street and surrounded by lush landscaping, the property offers a great deal of privacy enhanced by an open space and wetlands to the left of the home that can never be built upon. 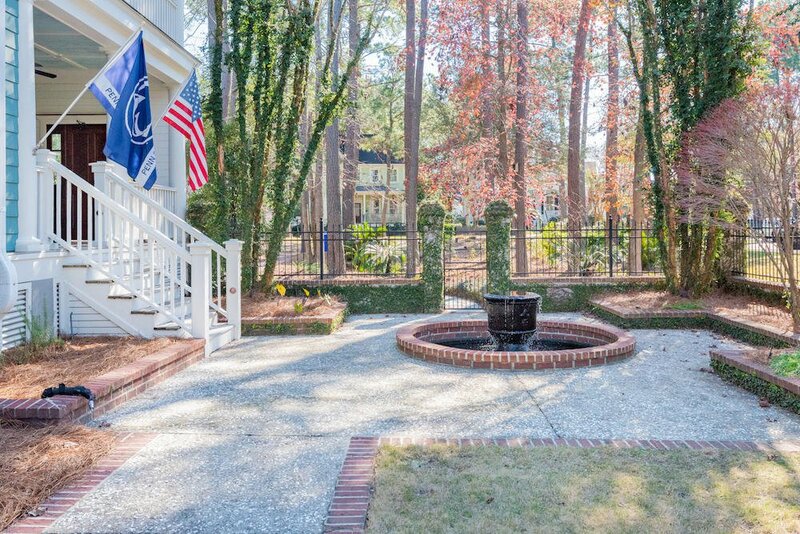 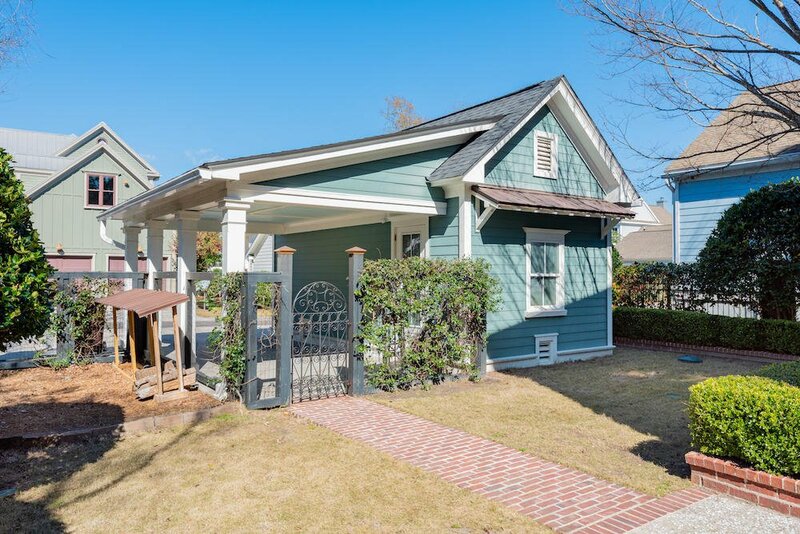 The courtyard is a fabulous addition to this fine home complete with a wrought iron and stucco fence, 10+ foot crepe myrtles, a crushed shell walkway with Charleston brick accents and an abundance of landscaping with a tranquil fountain. 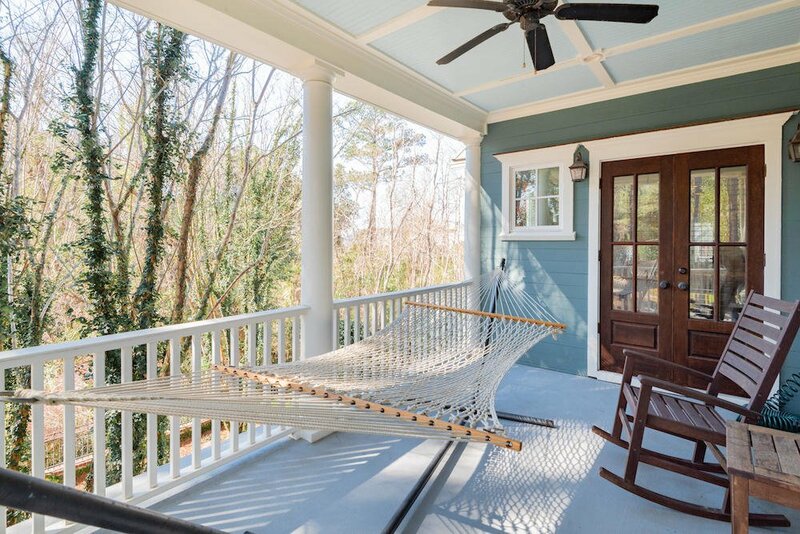 The home's exterior was completely repainted in 2012 and a mosquito misting system was added to enhance the outdoor experience. 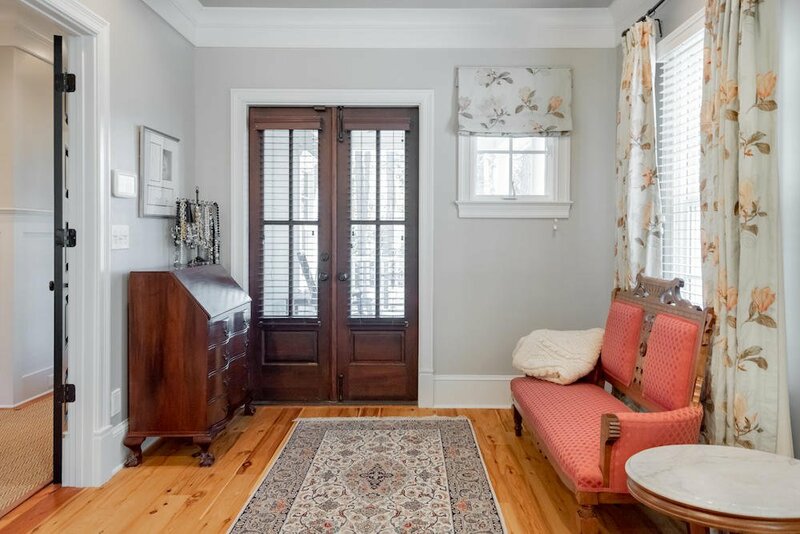 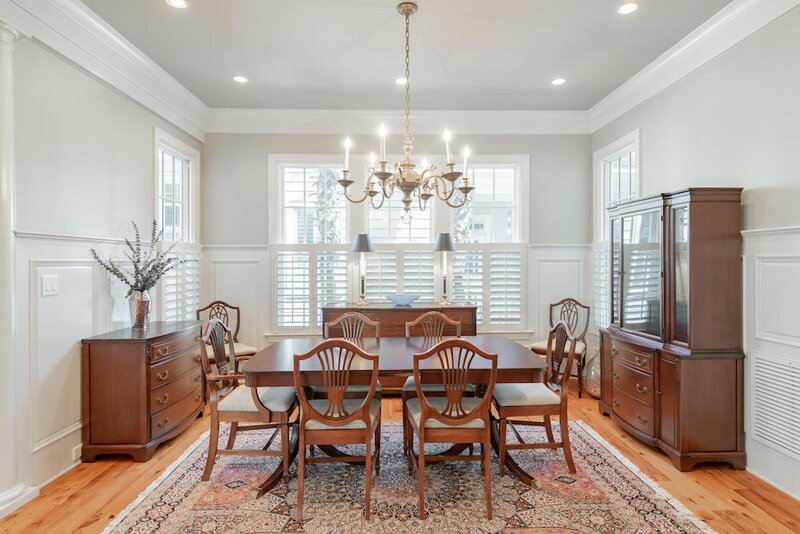 Inside this classic Charleston single-style home, the foyer opens to the living room, dining room and kitchen. 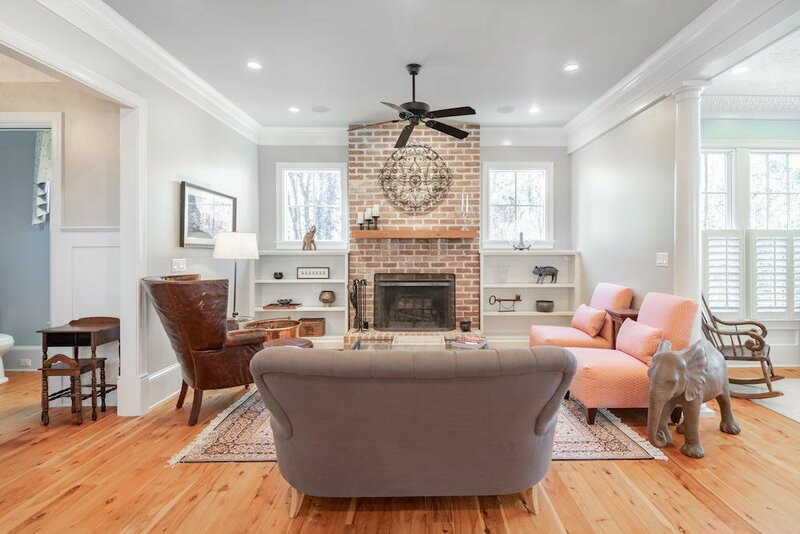 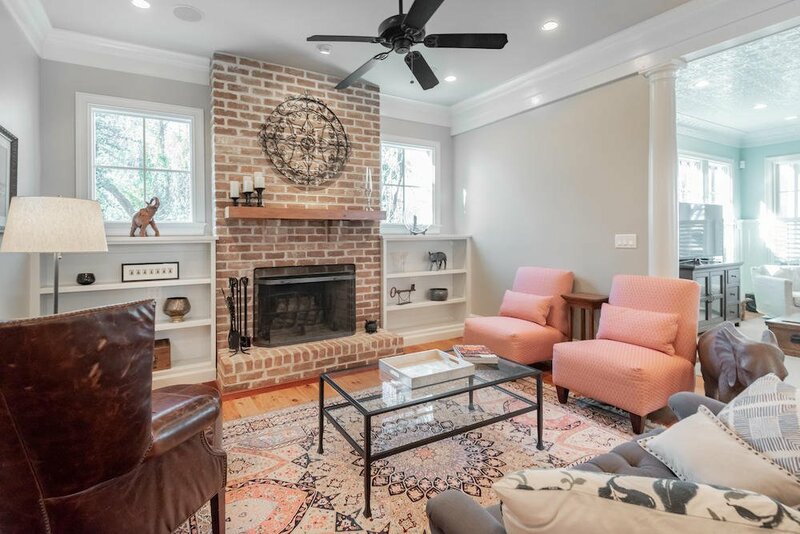 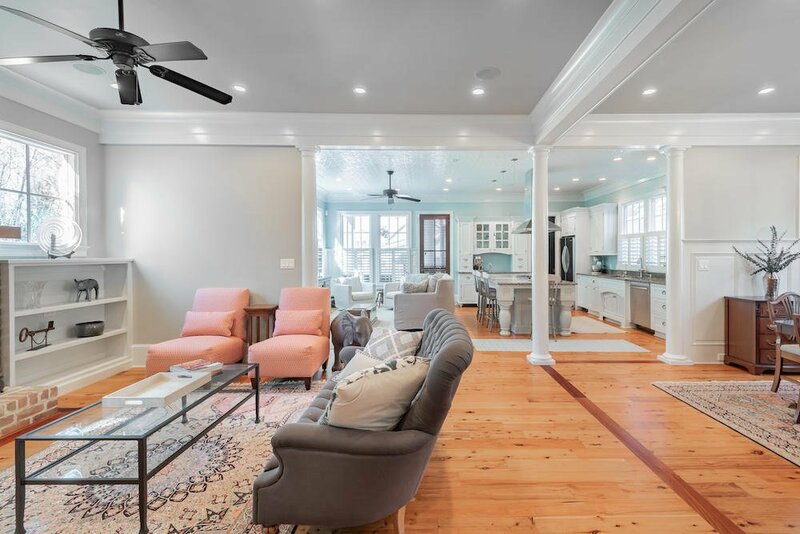 The open floor plan features Australian Cypress floors, gorgeous wainscoting and a classic Charleston brick fireplace in the living room. 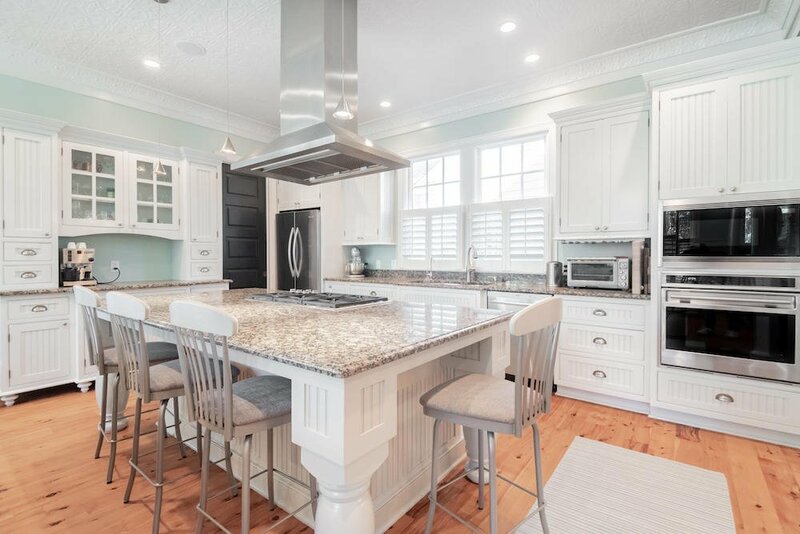 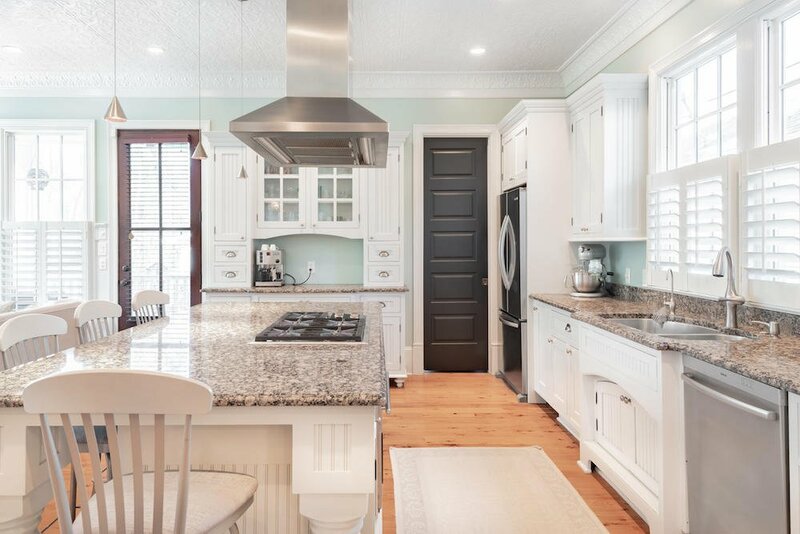 The chef's kitchen boasts a real tin ceiling, high-end stainless appliances, custom cabinetry and a spacious center island. 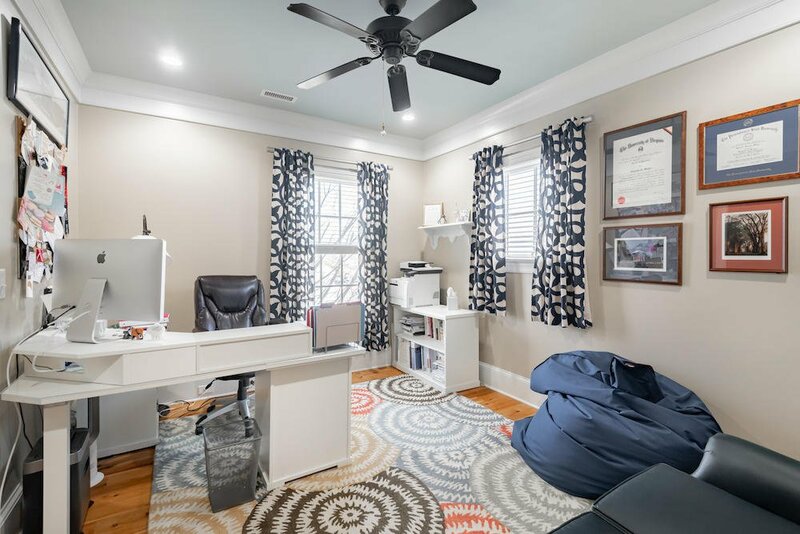 There's an office on the first floor with its own full bathroom that could easily be converted back to a bedroom/mother in law suite. 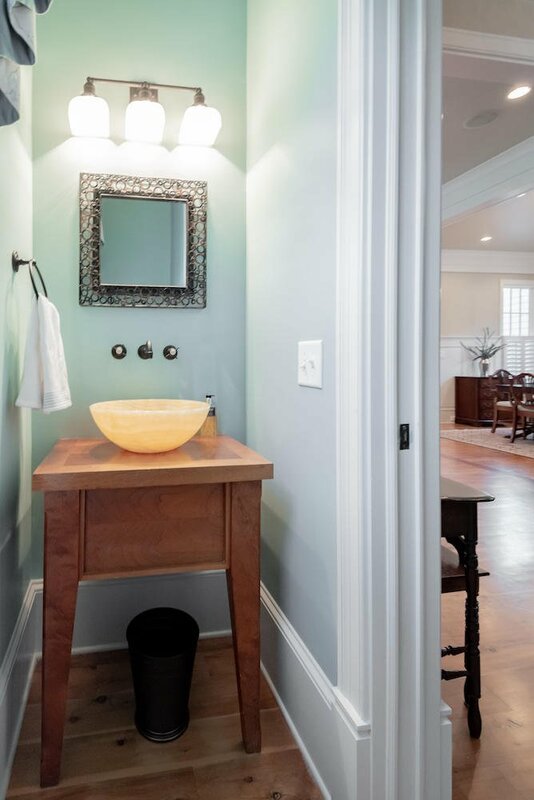 A spacious mudroom off of the kitchen can also be found on the first floor. 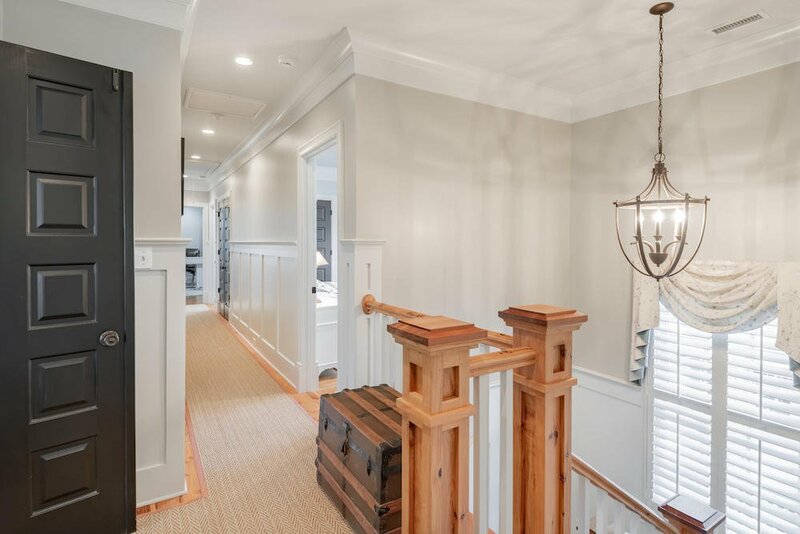 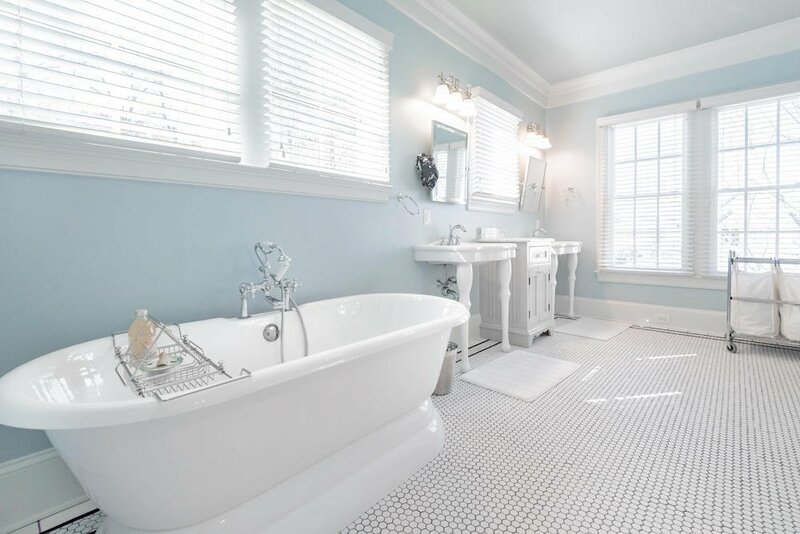 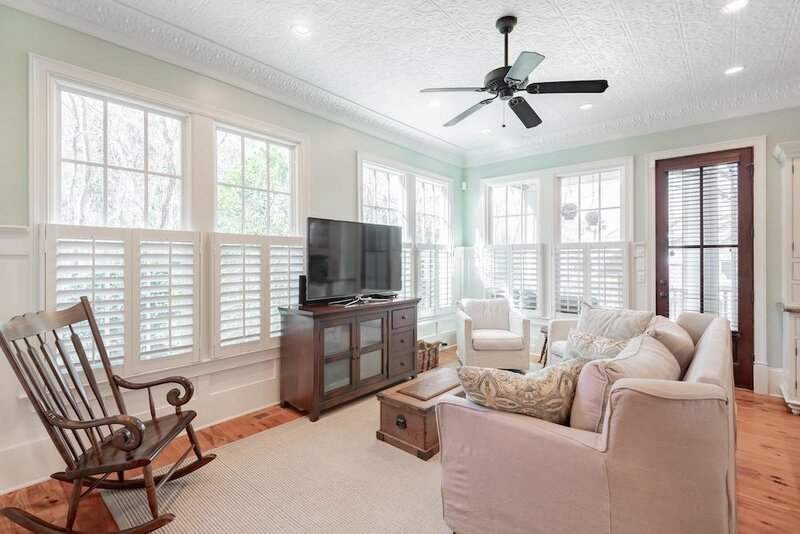 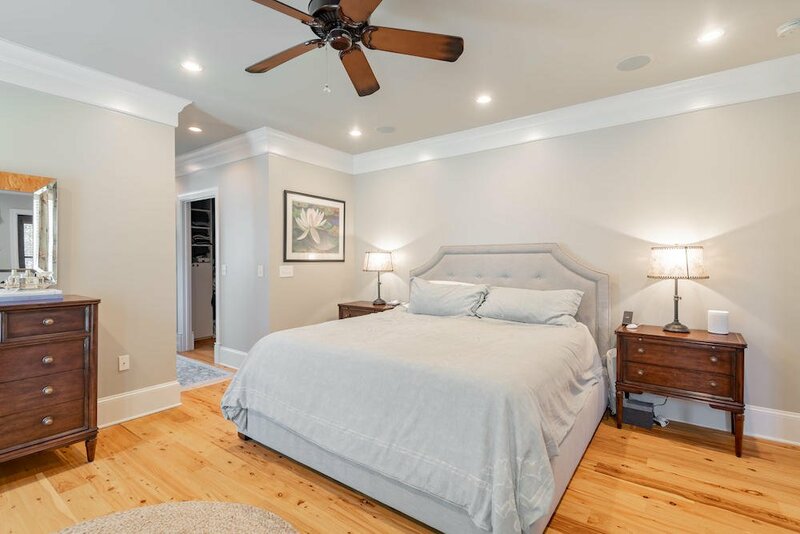 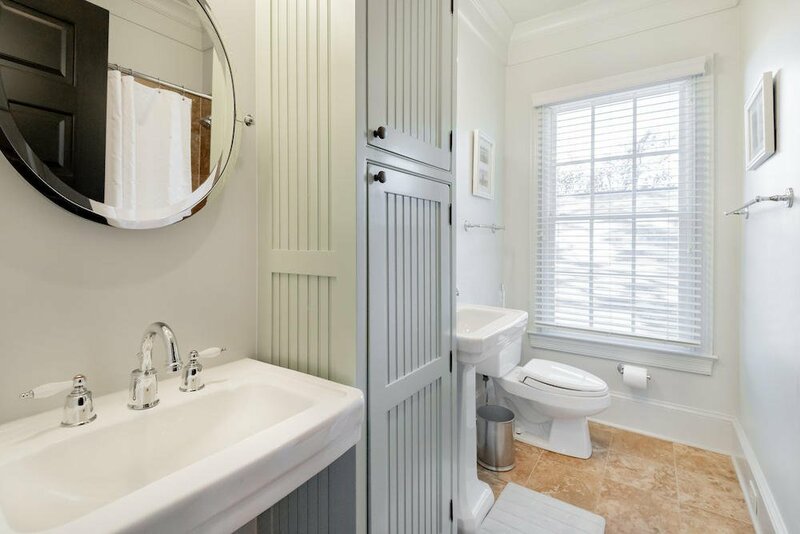 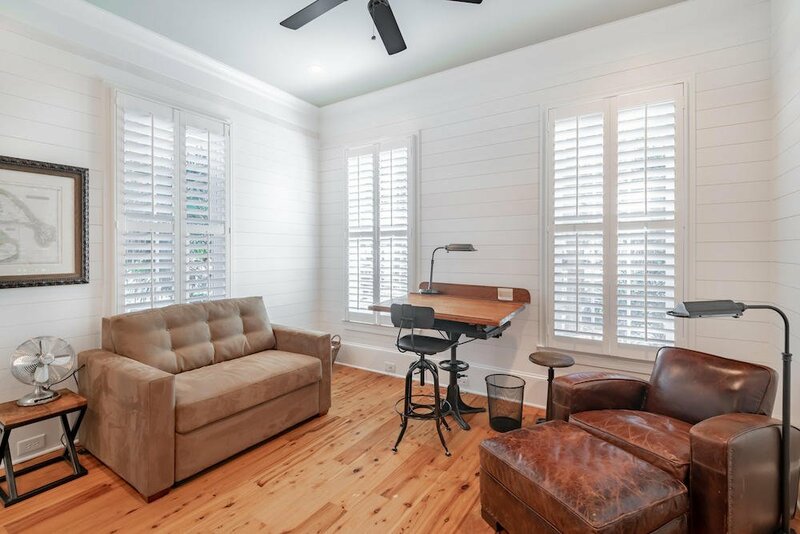 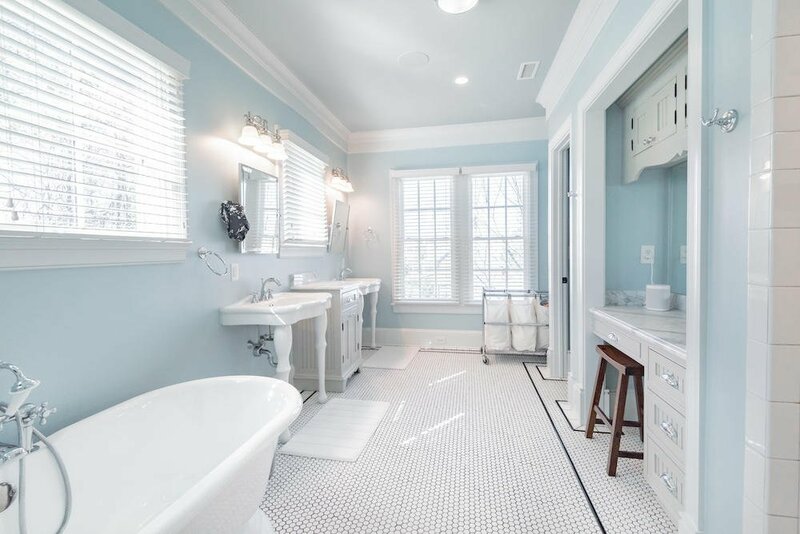 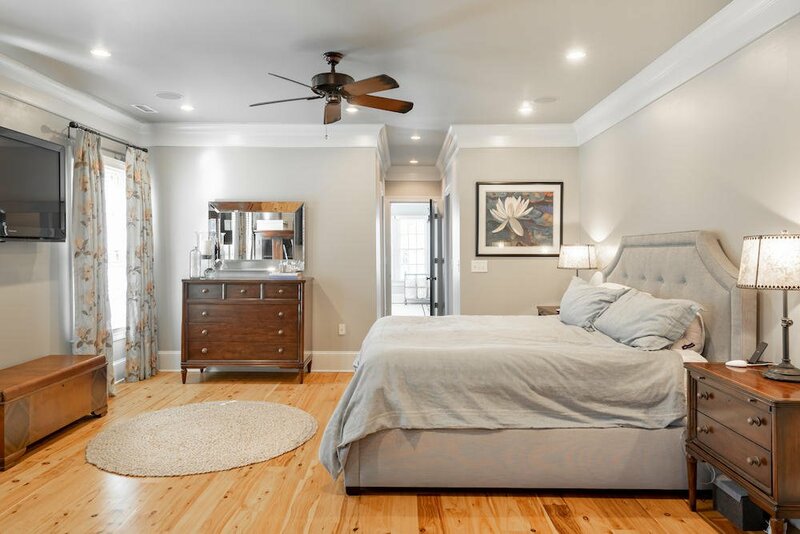 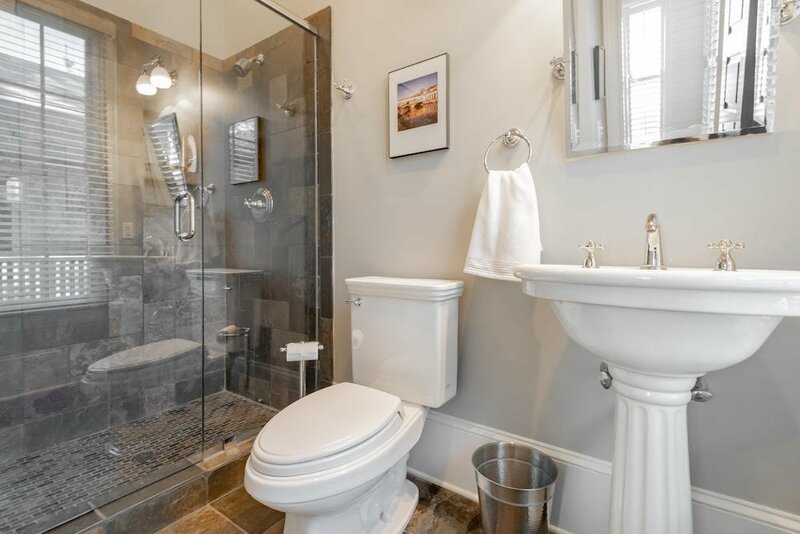 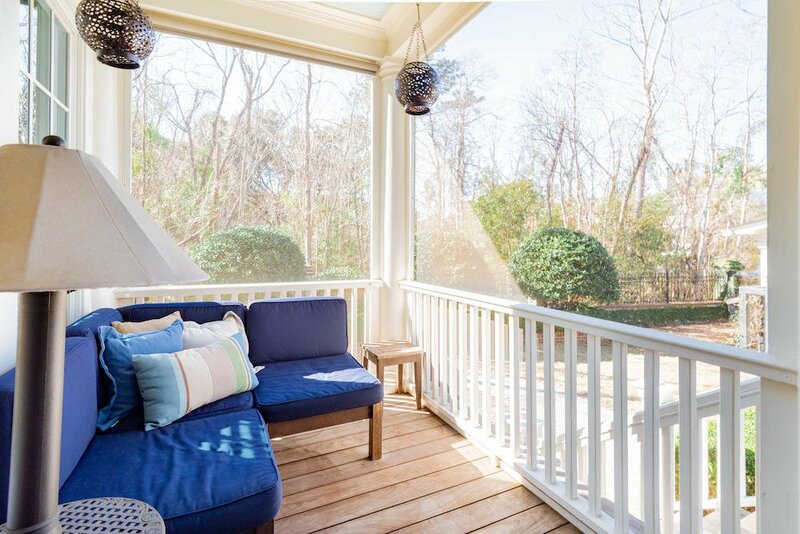 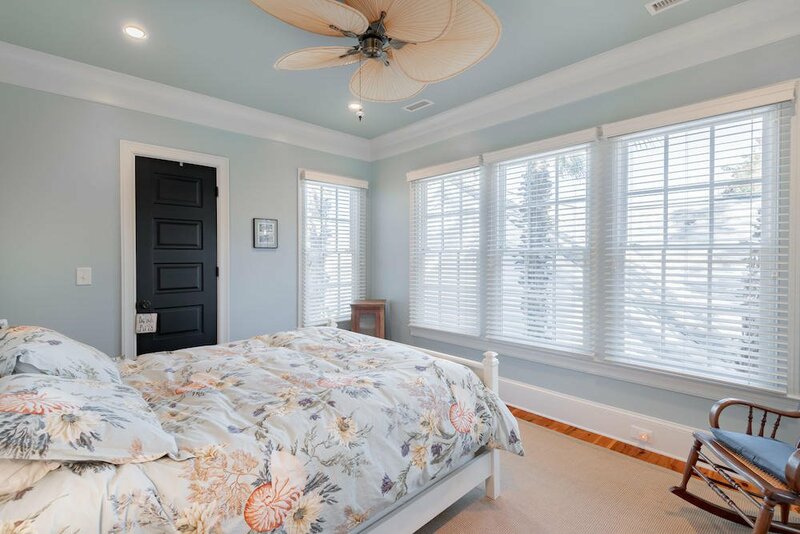 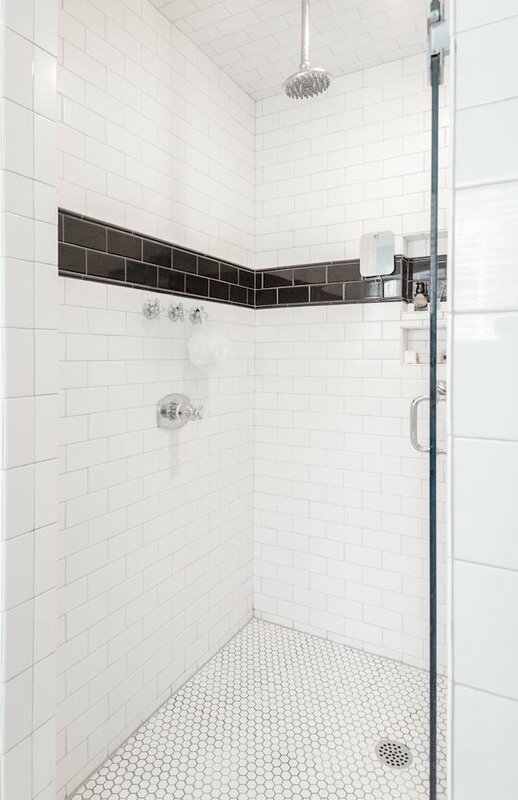 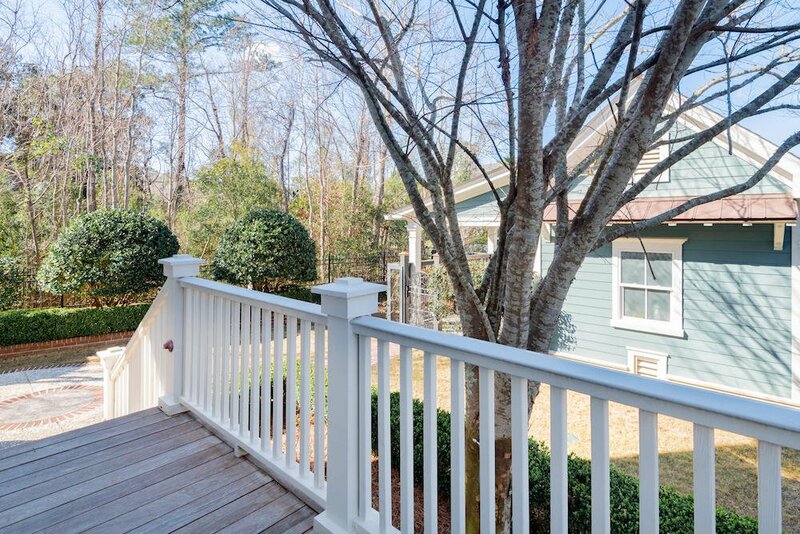 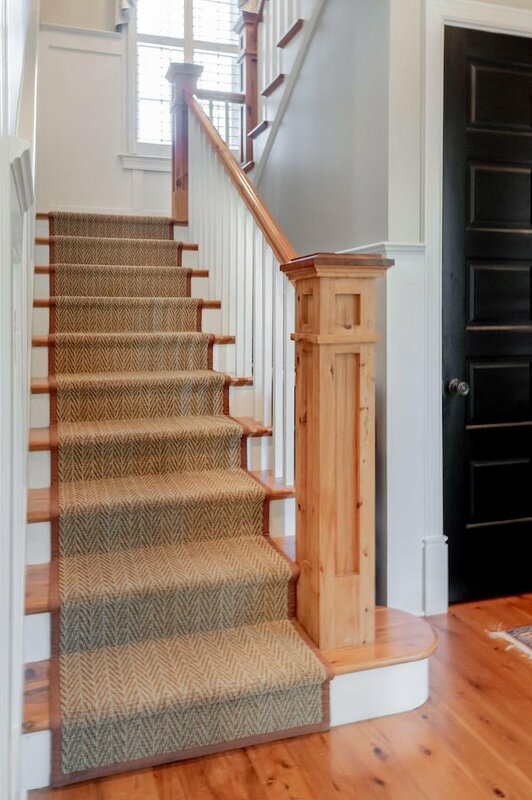 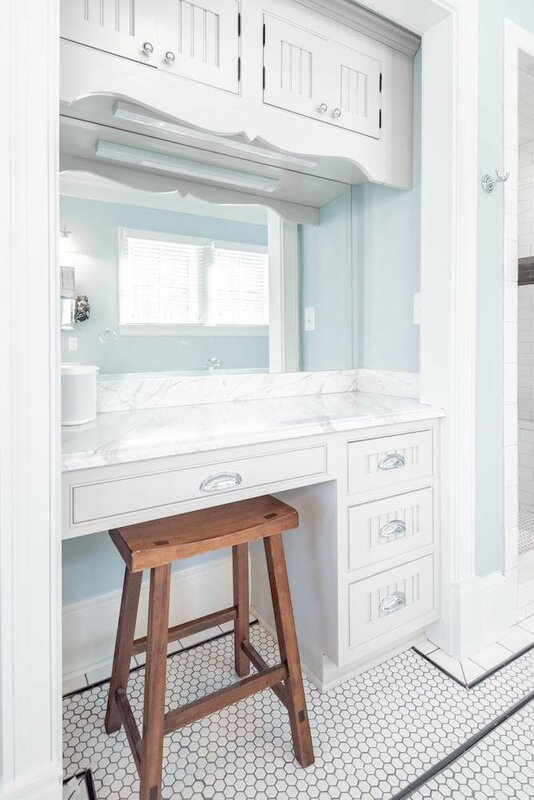 The second floor offers a beautiful master suite with its own sitting area, walk-in closets, subway tile master bath and an outdoor porch that overlooks the courtyard. 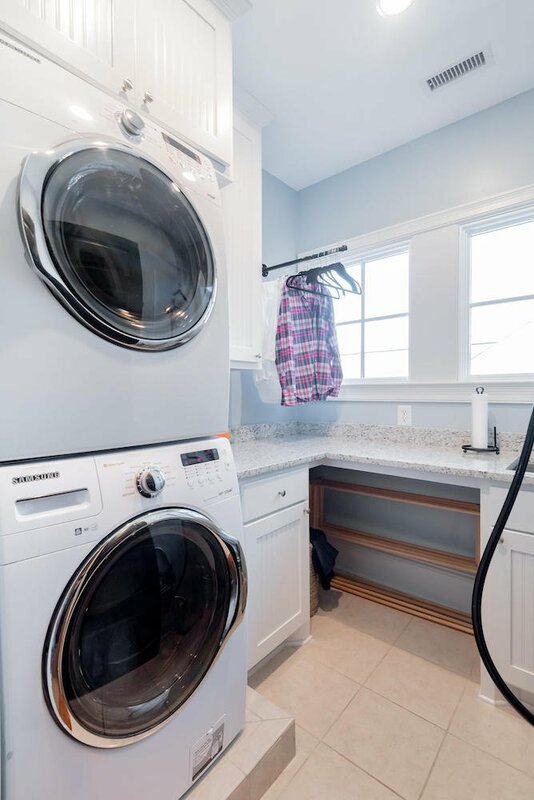 Three additional bedrooms, a full bathroom and newly remodeled laundry room complete this level. 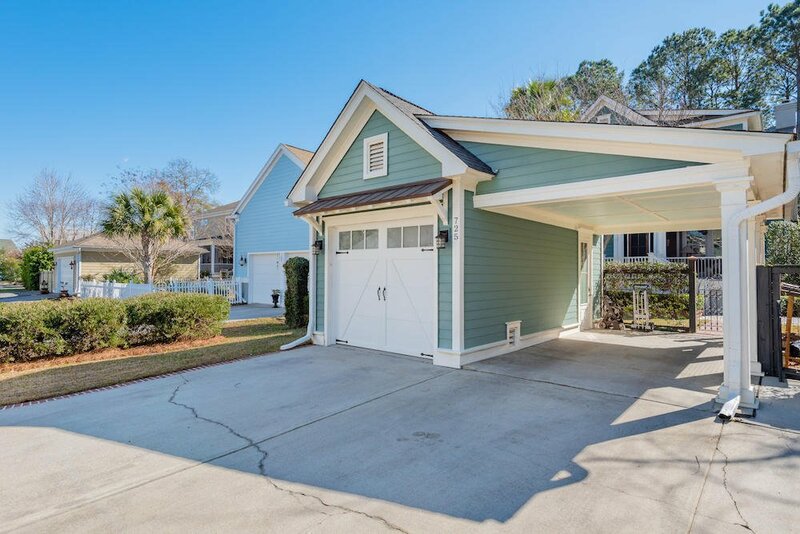 Outside, the one car garage includes an extra-large carport along with additional parking for 2-3 cars. 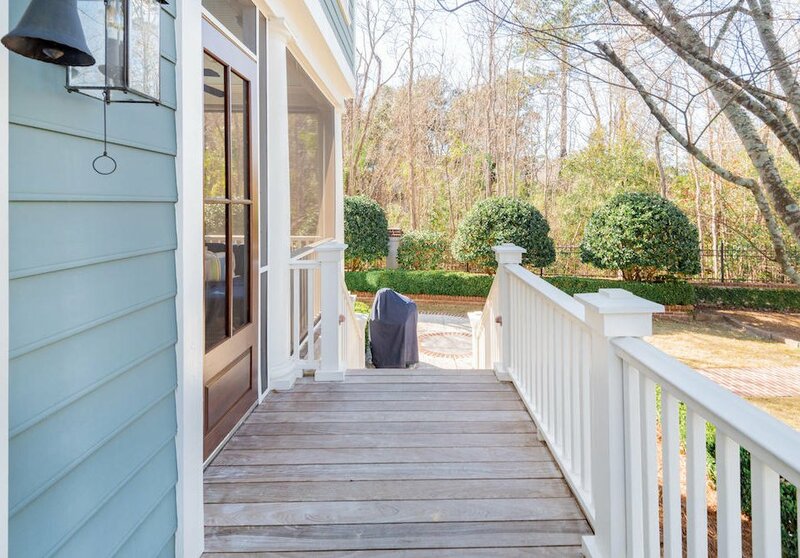 The garage has a custom car lift to allow for two sports cars; the lift will convey with the home or can be removed upon request. 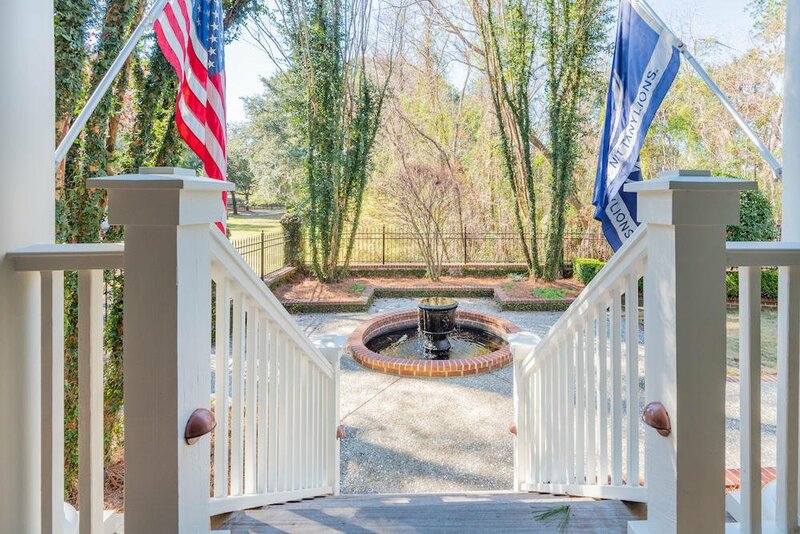 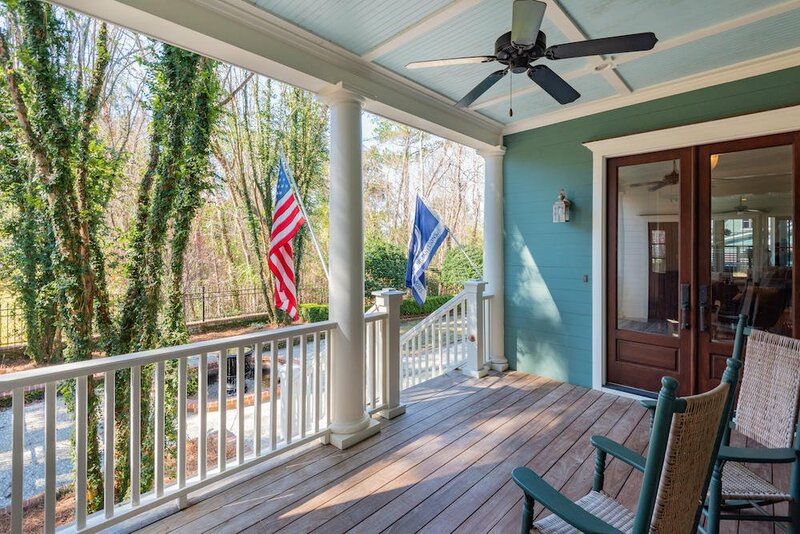 This is a truly unique property in one of Mount Pleasant's most desirable neighborhoods and is a home that you won't want to miss.